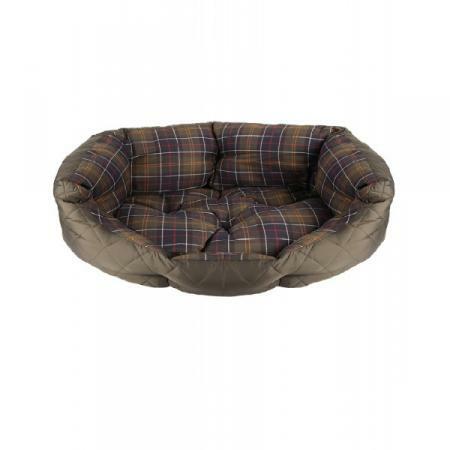 Barbour’s Quilted Dog Bed 35 Inch, is a sumptuous quilted slumber bed in Barbour’s iconic style with its box-quilted nylon outer and Classic Tartan cotton lining. Suitable for extra large sized breeds.SALE! Would you like to check stock availability? Call Sara or Paul on 01494 775577 Mon-Sat 9.30 a.m. to 5.00p.m. Please Note: We do not accept orders by telephone and enquiries are better placed by email too. When ordering on-line, please note that we do not deduct any money from your credit card, until the goods are being despatched. Please also note that you may alter the quantity of goods in your basket at any time.